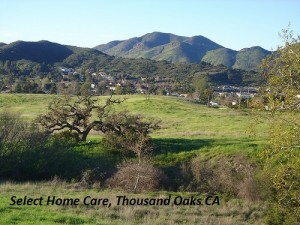 Select Home Care Thousand Oaks takes pride in being locally owned and operated in Thousand Oaks California. 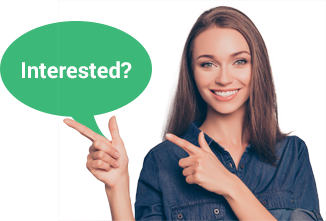 Select Home Care Thousand Oaks interfaces with several home healthcare organizations in Los Angeles and Ventura Counties. Select Home Care Thousand Oaks can help ensure elderly clients remain in their home with professional and compassionate caregivers. 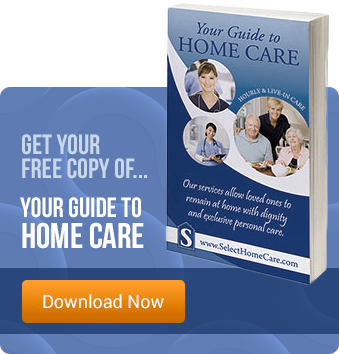 Select Home Care Thousand Oaks helps individuals who need quality healthcare in their own home. At Select Home Care Thousand Oaks we believe the difference between satisfactory health care and excellent healthcare is found in our team of professionals. By maintaining a high quality of care for seniors and disabled patients our nurses and home care providers ensure that senior and individuals with disabilities do not go without the care they deserve. Whether you are searching for assisted living care, senior care, nursing care, retirement living, or other service for a senior or disabled person Select Home Care Thousand Oaks has a solution. Thousand Oaks, Agoura, Agoura Hills, Oak Park, North Ranch, Lake Sherwood, Westlake, Westlake Village, Conejo Valley, Woodrach, Moorpark, Somis, Camarillo, Santa Rosa Valley, Fillmore, Santa Paula, Ojai, Ventura, Oxnard, Port Hueneme, Oxnard Shores, Peir Pointe, Mandalay Bay and all surrounding cities. Calabasas, Agoura Hills, Agoura, West Hills, Topanga, Woodland Hills, Malibu, Pacific Palisades, Brentwood, Bel Air, Santa Monica, Westwood, Los Angeles, Burbank, North Hollywood, Studio City, Tarzana, Sherman Oaks, Van Nuys, North Hills, Mission Hills, Granada Hills, Sylmar, Valencia, Santa Clarita, Lancaster, Palmdale, Northridge, Chatsworth, Canoga Park, San Fernando Valley, and all surrounding cities.